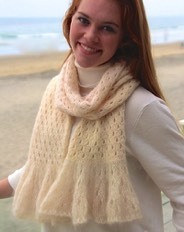 Knitting Nuances is primarily a teaching site; new ideas with patterns to support them. We use our blog to tell you all about new ideas and patterns. These blog posts are a great way to announce and introduce new knitting ideas, but if you’d like to try these techniques in your other knitting projects then topic oriented tutorials are more helpful. Joining our group of readers means you'd like to take this knitting exploration journey with us. Just pop on over to our blog to sign up and you’ll have access to our first bonus material on innovative non-rolling knit edges.